In the world of commercial towing, more is expected. A job cannot be completed if the equipment cannot handle the workload. That is why CURT developed the Commercial Duty class 5 trailer hitches, the ultimate in rear mount hitches. Constructed from steel and engineered for power, these class 5 behemoths come with a gross trailer weight rating that ranges from 18,000 lbs. to 20,000 lbs., and a tongue weight capacity to match, rating in at 2,700 lbs. 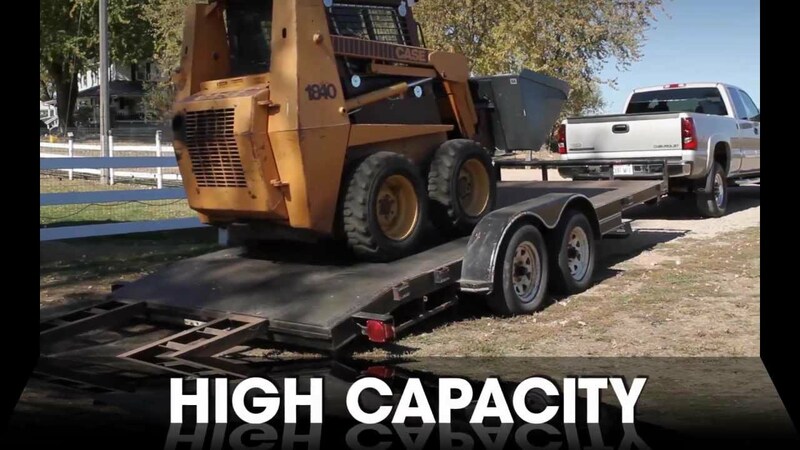 This extra high tongue weight capacity allows these class 5 trailer hitches to be able to bear the added load of heavyweight commercial trailers. Also, class 5 hitches feature a wide 2 1/2" x 2 1/2" receiver tube opening to accept only the largest, most capable ball mounts such as forged and welded designs. CURT Commercial Duty are a match for towing virtually any heavy-duty coupler-style trailer, including the largest of boat trailers, utility trailers, livestock trailers, RVs toy haulers and various farm trailers. They are designed for mounting on commercial trucks and other heavy-duty pickup trucks, including diesels and flatbeds. CURT’s CD hitches are guarded by a co-curing of liquid Bonderite® coating and black carbide powder coat finish and come backed with a one-year finish warranty. If that was not enough, they also mount with grade 8 hardware, included with each hitch, and feature a limited lifetime warranty to give you the confidence to tackle every job head-on.